Welcome to our Sulky® threads online shop! ITS are the official online retailer for Sulky® products in the UK, selling a large selection of Sulky® threads and stabilisers. 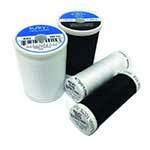 The Sulky® brand was established in 1968 when Sulky® embroidery threads and materials were introduced. Initially they were offered for industrial use only, later they were sold to the hobby and craft markets as well. In 1985 SULKY of America was established and became the market leader for home sewing within a very short period of time. More and more sewing enthusiasts all over the world started using Sulky® thread for their embroidery and sewing projects. In January 2017 the first Sulky® online shop was launched in Germany, this shop was closely followed a month later in the UK when ITS launched Sulky-shop.co.uk. 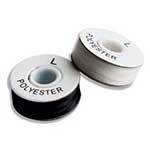 We now sell Sulky® thread and other supplies to the UK home embroiderer, quilter and crafter. If you need any information about our products, our friendly and knowledgeable staff are happy to answer all your questions. We hold a large amount of stock in our Nottingham warehouse, so goods are usually sent out the same day. 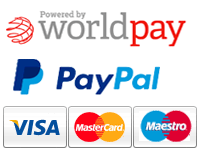 We offer secure payment through Worldpay and Paypal.